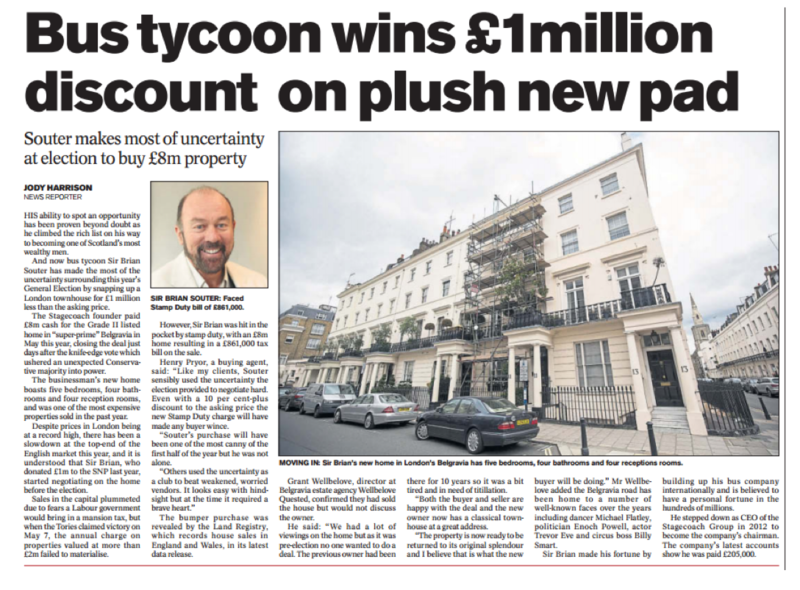 A BELGRAVIA townhouse named as the home of a Downton Abbey character could be transformed into a £90 million mega-mansion after being sold in one of the biggest deals of the past 12 months. Souter makes most of uncertainty at election to buy £8m property. A LONDON council is spending £1.25 million on a 19th-century Oxfordshire mansion so it can send warring families on holiday, the Standard can reveal. A STUNNING property which was once the workshop used by master builder Sir Thomas Cubitt when he created Belgravia has been put on the market.